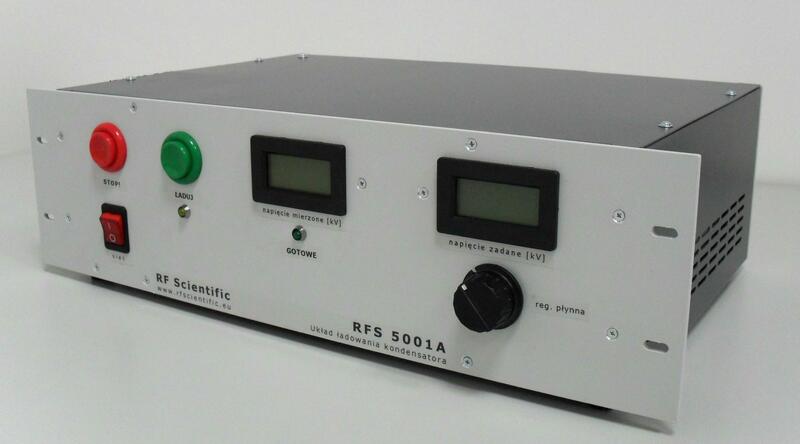 The RFS 5001A capacitor charger is a high efficient device capable of charging high voltage capacitors to demanded voltage. The typical voltage range is 500V...4,5kV. The device is protected against short- circuit and capacitor breakdown during charging process. Simplicity in the design of the front panel, standard 3U 19" rack enclosure, low weigth, and reliability are the features of the RFS 5001A. More info: PDF file below.